Call to Action: We hope you will work with ALUV to extend the Aurora zoning controls and help ensure a vibrant Aurora Village has a chance. Unfortunately, I recently had to report on the upcoming closure of the Oak Tree Starbucks, the only Coffee Shop within the Aurora Licton Urban Village (ALUV). 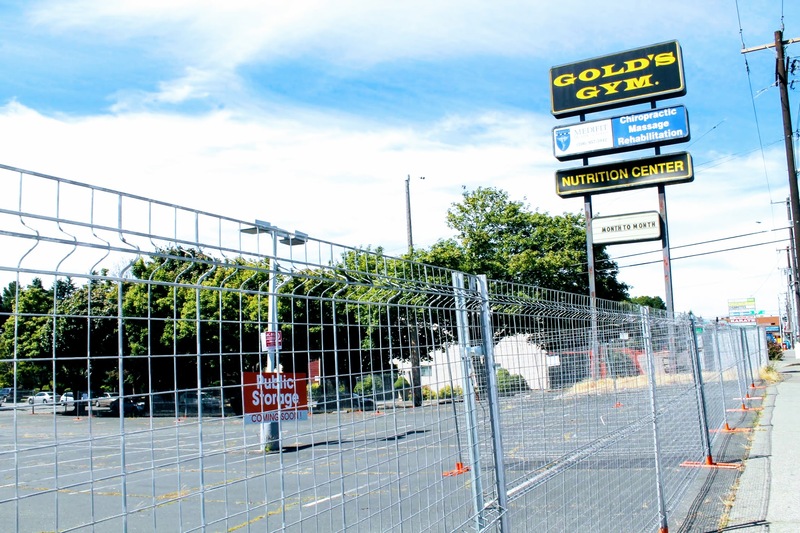 This came not too long after the nearby Gold's Gym, which brought additional caffeine craving foot traffic to the area, closed to be replaced by a storage facility. This facility did have an appeal put forth, but it was dropped before being heard. This is one of 2 large storage facilities being built in the area. And while some storage is undoubtedly necessary, it is sad to see so much land taken off the market. Property that could instead be used for much needed additional housing which would support a thriving retail core within ALUV. As it is, the village is set to contain at least four storage facilities and not a single coffee shop. The only thing that has kept even more of the land along Aurora from being repurposed for storage use is a temporary moratorium that was put in place October 2017, right after these storage facilities applied for permits. When this moratorium was passed, the intention was that it would act as a stop-gap measure until permanent zoning changes took effect with the passage of HALA. Predictably though, that law has been delayed by legal challenges, leaving the moratorium set to expire soon with no zoning changes in place. On Wednesday, Sept. 5th at 9:30 AM the Seattle City Council Planning, Land Use and Zoning (PLUZ) Committee will hold a public hearing on the renewal of the Interim Zoning Controls for the Aurora Licton Residential Urban Village. We hope to encourage you to come out in support of the extension and/or email the Seattle City Council with your thoughts. I want to make it clear: this is not an attack on the many existing businesses along Aurora that may fall into the categories being blocked by this extension. Many of them are family run, have been here for decades, and have always done their best to help the community. We are glad they are here, appreciate their contributions, and hope they continue to thrive. This zoning extension and the permanent zoning changes proposed will not affect existing businesses or already pending permits. The goal is only to encourage more housing, and pedestrian-friendly businesses are built in existing empty lots and new lots as they become available. We believe this will result in a more lively and friendly area that will benefit both residents and existing businesses alike.